Today is a great day!... the birthday of the Blessed Virgin Mary. 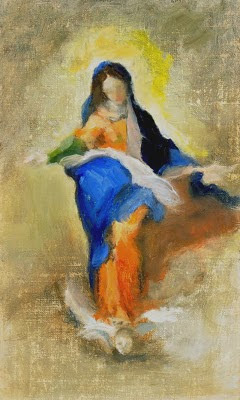 I painted this little sketch as an adaptation study, taken from a wonderful painting done by Barocci titled 'The Immaculate Conception'. I have begun to paint this version in a larger scale.